Franklin senior Jalen Samuels had his best season in his final year for the Panthers. Samuels was a force on both ends of the court, earning HockomockSports.com Defensive Player of the Year honors. He was second on the team with 12.5 points per game while leading the Panthers with 8.4 rebounds, 2.6 steals, and 1.7 blocks per game. He also had 3.0 assists and averaged a charge taken a game. “Jalen is the most well-rounded player I have ever coached,” said Franklin coach CJ Neely. 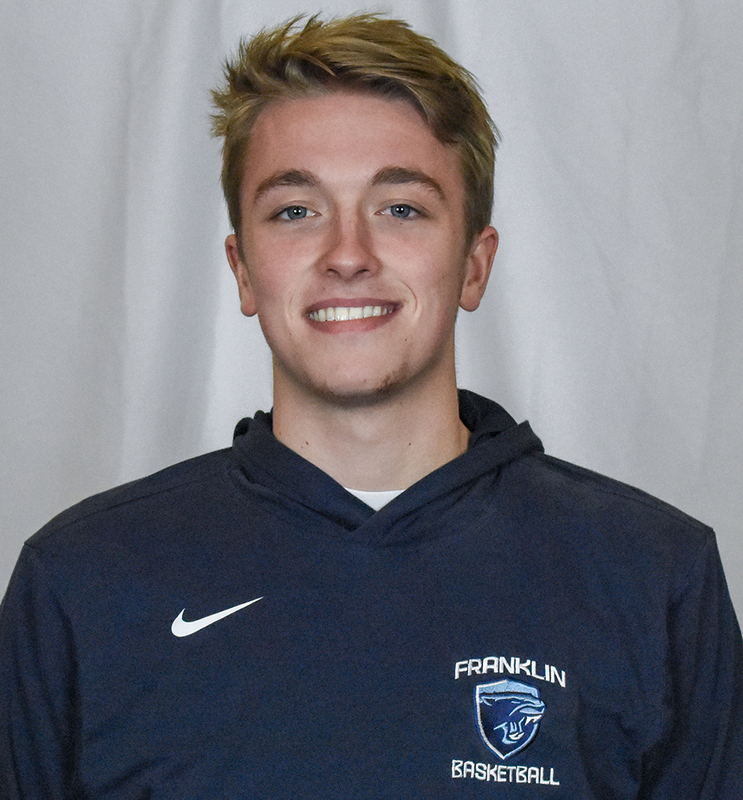 “All throughout his time as a Franklin Panther he has filled the stat sheet in every possible way. 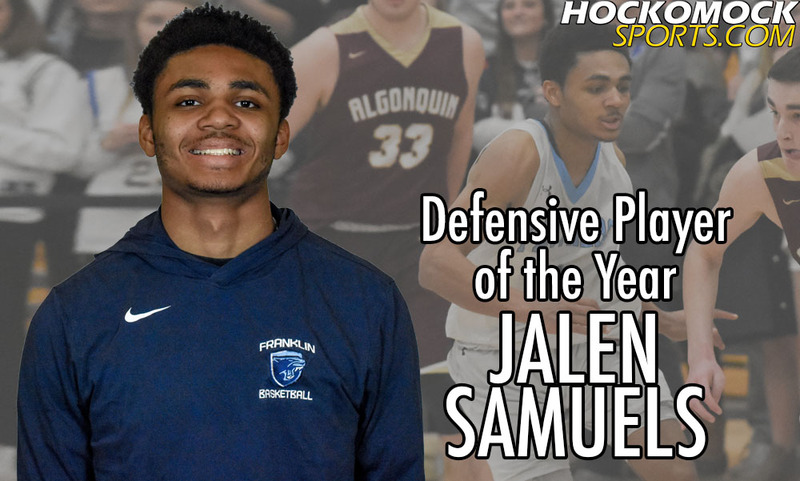 "Franklin senior Jalen Samuels has been named the HockmockSports.com Boys Basketball Defensive Player of the Year for the 2018-2019 season, the eighth year the award has been given out. Samuels was also named the HockomockSports.com First Team. It’s the second straight season a Panther has won the award. Samuels was a force on the defensive end for the Panthers, who finished the season as the best defensive team in terms of points against (48.9 points per game) and the lone team to average under 50 points against this season. Samuels was a big reason for that because of his versatility and ability to guard every position. 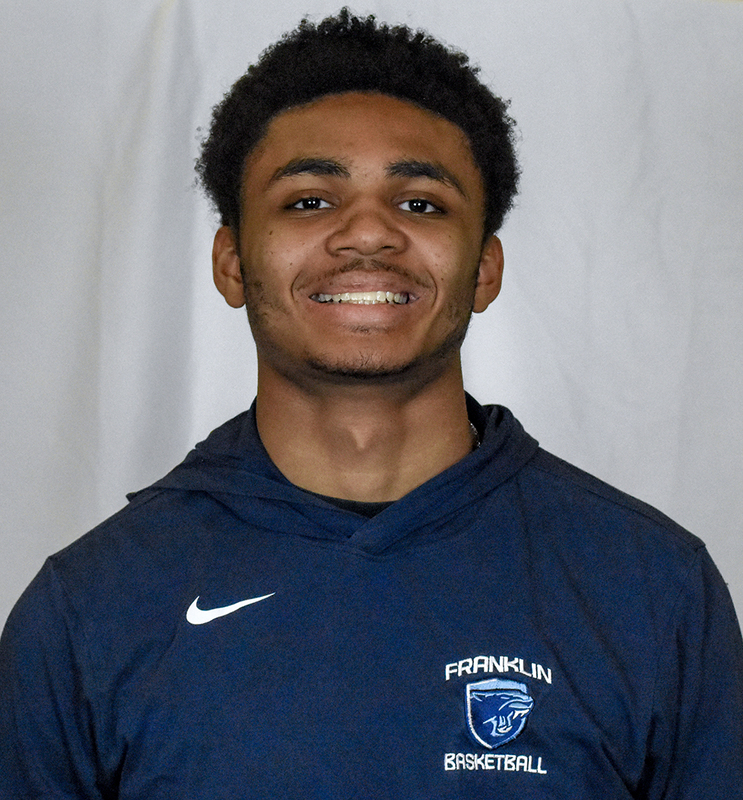 “Jalen is a next level defender who has always been ready to take on the challenge of opposing team’s best players regardless of their position,” said Franklin coach CJ Neely. “He has guarded and shut down explosive wing players, dominant big men and all players in between. He led our team in blocks, charges, steals, and rebounds and is always willing to put his body on the line to dive for a loose ball to get a stop. He allows his teammates to be extremely aggressive with their pressure on the ball, knowing that Jalen will be there on the back line to clean up the mess if they get beat off the dribble.